We respect your privacy. You’ll never be spammed or sold and can unsubscribe at any time. 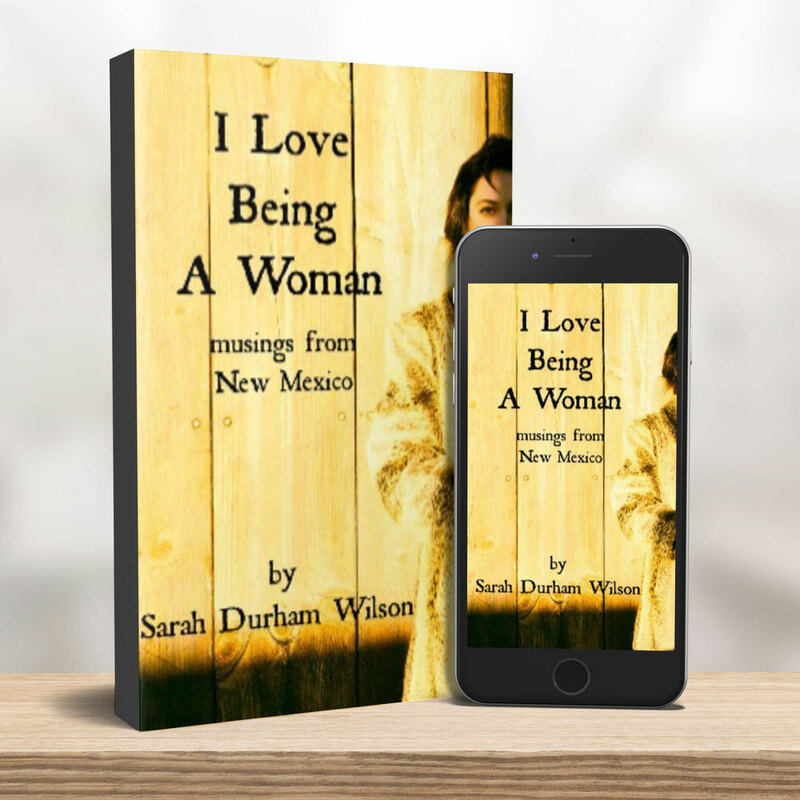 Sarah Durham Wilson is a women's writer and leader. Once a rock journalist in New York City & L.A., her Saturn Return viscerally ended one life and began another: one devoted wholly to Feminine Wisdom. A teacher & retreat leader, she's journeyed thousands of women through witch awakenings onto the Priestess Path. She now is devoted to leading the collective Wounded Maiden Feminine across the archetypal bridge to Healthy Mother. She is actively participating in her anti-racism work and has a no-tolerance policy for bigotry. All are welcome to her work, and she is unlearning patriarchal toxicity every day. “You have no idea what you have done for me. You have awoken the goddess within me. Thank you for what you do for the world." WELCOME to THE CROSSING of MAIDEN TO MOTHER. The Maiden to Mother Journey restores the vital, long buried feminine rite of passage from girl to womxn. From Wounded Feminine to Mature Feminine. + It reframes beauty from the patriarchal lens - which defines beauty as external and fleeting - to a soul based, internal, eternal power that blooms with age. + This is a journey devoted to the healing and wholeness of the most prevalent feminine archetype in our society; the Wounded Maiden. + This work supports the “Motherless” Maidens into the next season of their life, the Healthy Mother, assisting them from the Becoming stage of their lives into their actual Being. + Missing this full moon stage of maturity and sovereignty is the great tragedy of the modern Feminine. + This Journey challenges the toxic notion that age is something to fear, instead, it argues, age is an initiation of power, self actualization, and wholeness. + This work explores the notion that midlife is not, as this culture proposes, where a womxn’s power ends, but instead, where it actually begins. “I was being called into this threshold. I was being told not to ignore this deep and painful pause of emptiness, that thing or no- thing we fear so much. did not mean it wasn’t real. We must call it back. We must call it forth. We must call each other forth. We must talk about it between each other, with each other. We must talk about the power of Mother. We must talk about the power of the fullness of a womxn in the full moon, the full bloom, the summer of her life in which she becomes and gives her greatest offering, her truest self. In doing this work, we ask ourselves, what is that- a life of our own- and have we lived it? Do you ever feel stuck in girlhood, like it’s hard to “grow up,” hard to progress into the power of womanhood? There IS a block for many of us, and it’s due to the disappearance of this bridge we once crossed together as womxn in the Maiden to Mother Rite of Passage. The first part of this journey we study - to integrate- the patterns that keep us in Wounded Maiden. When I began this journey myself, I spent years studying the patterns of the Wounded Maiden. Before I did this work I was constantly drowning in the waters of life, with no inner lifeguard. I could not figure out how to save myself, but I was very good at drowning. For the first part of my life, and then deep into what others would consider womanhood, I was a scared, distracted, immature, reactive and vain girl. I began to study my Wounded Maiden behaviroal blocks- and they resonated with the collective feminine wounds of fragility, vanity and victimhood. I started to develop a theory that this paradigm we're in, this culture of patriarchal toxic masculinity, actually groomed and wanted us to stay these terrified little girls to keep us out of our power. I realized the culture bullied and bred us to stay this way throughout, dare I say, our potentially wasted lives. The Death of the Maiden is where we enter the Portal and the work begins. the Full Moon of Our Lives. Here we’ll take a deeper look at the traits of the Wounded Maiden which have been perpetuated by a toxic masculine society. These are the wounded natures, behaviors and reactions that have kept us trapped in our smallness, like fragile girls. These are the behaviors, if, we still came together in Community for Rites of Passage Ceremonies, we would be laying down as we crossed over into Mother—Into the Summer of our Lives. Identifying the traits of our Wounded Maiden is the first step across the threshold into Mother. Do you feel ready to “grow up” and self-actualize? What does it mean to grow up, what does it mean to become ourselves? This is what we do on the journey from Maiden into Mother, we come more fully into our power, to live a life of our own, so that when our time comes to die, at what we can only hope is an old age, we are at peace, not haunted by own unlived dreams—we feel we have truly lived. We find ourselves at this crossroads when we deeply know we are not giving our fullness to life. We instinctually know we aren’t living our “own” lives, and that just like the nature we are born from, we are meant to bloom. To come into Mother is to bloom. When we bloom, we give our greatest gift- ourselves- to the world. We don’t want to stay closed, we will harden and wither away this way- but so many of us do, we stay closed and fearful from the bruises life has given us, and in our fear, we cannot give our full gifts to life. It is at this crossing that we want- that we consciously choose- to open, and offer ourselves to the world. . This journey is about strengthening the focused inner experience, over the noise of the distracting outer life. It is about holding our vision for ourselves and the world and birthing that. In Wounded Maiden we have yet to truly hear ourselves because we have yet to truly know ourselves- and that is all okay. That's what the searching phase, the beginning phase, of the Maiden is about. It's the searching of identity, the searching of a place in the world, the searching of our own voice. Two of the things that die with the death of the Maiden: one, her attachment to fantasy, it's the death of the fairy tale that she will be rescued from her life by anyone but herself. Reality is not a bad word: she finds out who she really is, what really matters to her, & what she really wants. The death of fantasy, of crushes & unlived dreams, the death of the delusion she will live forever, that others are responsible for her happiness, only serves to empower her & break her out of her glass case, to live, to act. The Death of the Maiden precludes the Birth of the Mother. This is the option to have my personal guidance with you along the way. I’ve walked with many womxn across this threshold and I’d be honored to personally hold space for you as you cross over into Mother. a personal 45 minute introduction call where we identify where you are on your journey and you can ask me any questions you like. We’ll consult the Runes for your path guidance. The Runes are the ancient Nordic Fortune Telling Stones I’ve been working with as Oracle for most of my life, first, and then deepen into the call. We’ll identify the Maiden traits you’re entering with as we begin the crossing of this threshold. Around the time of the Underworld calls we’ll do a mid journey check in with you and the Runes to feel how you’re doing in your transition, and what blocks you might be meeting. At the end of the journey we’ll finish with a one on one closing call to seal the work in and come up with a plan to continue your Mother Work. JOURNEY WITH SUMERIAN GODDESS of HEAVEN and EARTH and REBIRTH, INANNA, and HER DARK SISTER of the UNDERWORLD, ERESHKIGAL. to figure out who the hell She was. This Maiden to Mother Journey was birthed from the lessons of Inanna’s brave and endlessly rich Heroine’s Journey. 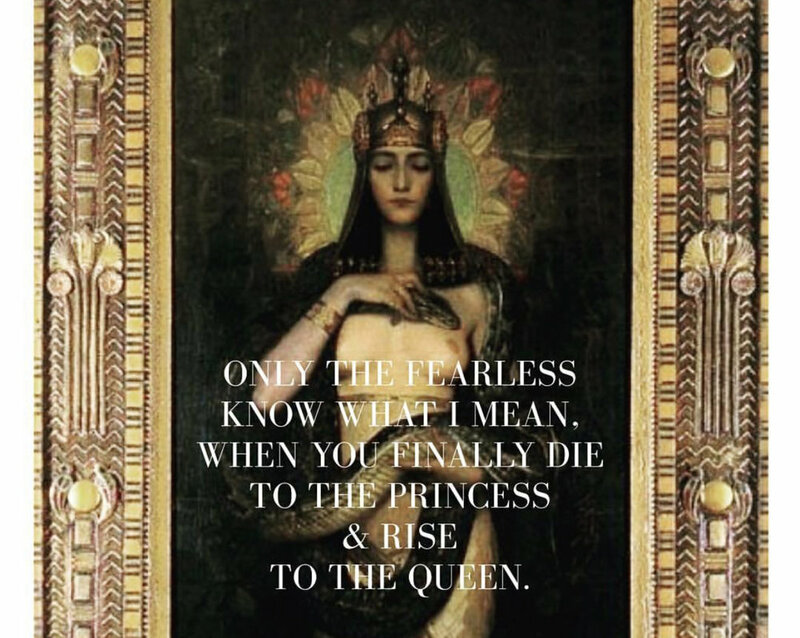 As we dive into the Underworld, that space between lives, we’ll be guided by the the teachings from the Journey of Goddess Inanna, The Sumerian Goddess who chose to go to the Underworld to meet her Dark Sister Ereshkigal, and in doing so, face her own dark half. When Inanna rose, she would never be the same- for she had become her true self. When she changed her own life, she changed the world. She knew she would have died in her safe everyday existence, and that in the adventure of following her heart’s call, she’d be reborn. Together we’ll walk through the the gates of her endlessly relatable tale of facing her darkness to find her light. Welcome to the Underworld. It is the pause between lives, between the archetypes. It is the gestation period between death and rebirth. Acknowledging we’re in the Underworld can be the very path out, back to life. 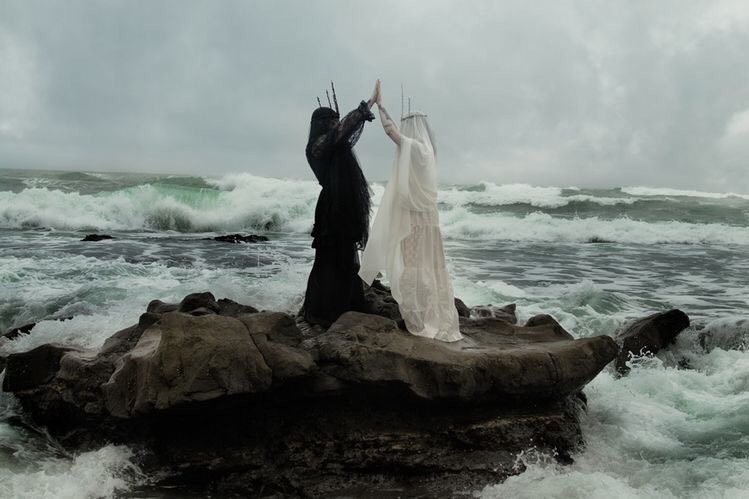 Maureen Murdoch, who wrote The Heroine’s Journey, says that to be “in the underworld is to be chastened and cleansed by the fires of transformation. for the goddess lives in our bodies and the goddess lives in the earth. We have to descend for her into the earth, into our bodies, into the mud where she’s been buried, where we’ve repressed our true selves, where the lotus of us is buried. This process, Maureen Murdoch says, is the spiritual experience for women. It's one of moving more deeply into self rather than out of self. 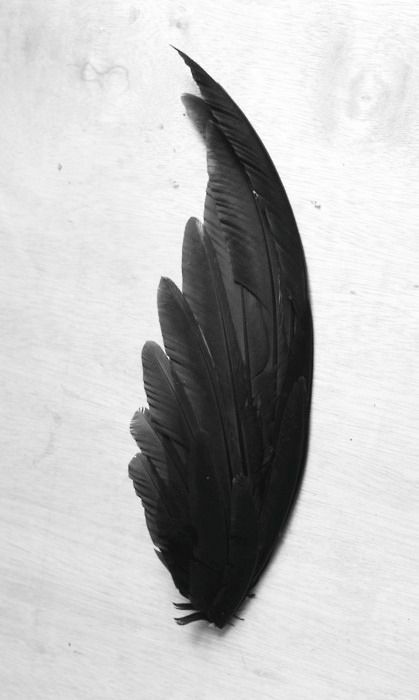 This is where we meet the splintered off, buried dark parts of ourselves. It’s where we grieve the Maiden, and welcome back the parts of us we haven’t let breathe or see the light of our days. We uncover and re discover the parts we’ve covered over. It’s deep beautiful midwifing work to allow the birth into Mother. This is where we ask the big questions of ourselves to reframe and redirect our lives. - The Journey, Mary Oliver. THE BIRTH OF THE MOTHER. When we're in Wounded Maiden, the outer voices are louder than the inner voice. When we’re in Healthy Mother, the inner voice is louder than the outer voices. All change happens with sacrifice and we know we can no longer be in Maiden to serve our world. As we know, with every change in our life, there's some sacrifice, there’s some death for the birth. The Maiden died for the Mother to be birthed. The Mother is the one who can tend to the cries of the world. The Maiden only has space for her pain- The word Mother holds the word Other. The Mother can hold space for herself, as well as space for the other. She has moved from Me, to We. The gift of the Maiden is thinking she has forever. The gift of the Mother is knowing she does not. to live a life of our own design. “...Are my boots old? Is my coat torn? Am I no longer young and still not half-perfect? Stop looking for your beauty in the mirror. That’s not where your true beauty is. Something else that begins to die with the death of the Maiden, like petals falling from the shattered open flower, is her external beauty which she once relied upon, which therefore allowed her to rely upon external validation. Now, she must rely upon her soul. The time of the Mother is the bloom of that soul. This passage: her first wrinkles, the thinning of her hair, the softening & slight sagging of her skin/ for she is literally, softening/ will also serve her, by inviting her to go within herself to re-define what beauty truly is. If beauty is no longer her face, where and what is it? Is it self reliance, bravery, her intuition, resilience, grace, authenticity, compassion, imagination, service, humor, vulnerability coupled with strength? She will reach down deep & allow these powers to rise. Her beauty from now on will need no mirror for validation. This Internal eternal beauty will be what she loves herself & is loved for, not the fleeting external. Her soul, her truth, her gifts, will be seen. These deaths of the Maiden, if allowed with grace, were always giving way to births, and these dark feminine passageways were always leading to wisdom. This is where we discover the power of age, and bask in the privilege of it, where we discover the spiritual secrets of passing into age.And where we’ll uncover a lifetime’s worth of tips to stay seated on your personal inner throne. Are we ready to become Mothers to ourselves and Mothers to the world? What could matter more than returning the healthy, life giving Mothers to a dying crying world? A Relaxing Slow Down Final Call for Vibrant Natural Internal and Eternal Beauty. 30 Slow, Holistic and Natural and ancient recipes to care for our body mind and spirit as we age. The Wise Woman’s Path to Deep, Eternal & Internal Beauty for a long beautiful life. what: INTRO TO THE MOTHER WORK. details: a Live Call, Recorded for Posterity, with Call Notes & Ritual Suggestion Posted in the Group Portal. + Welcome & Why We Do This Work. and to set your intentions for this work. + We’ll look at the big picture of why this RITE of PASSAGE is so vital to the Collective Feminine. This is where we enter the Portal and the work begins. what: INANNA, ERESHKIGAL, & THE HEROINE’S JOURNEY. + Tracking our own Heroine’s Journey: What is Calling Us? BREAK/ INTEGRATION WEEK // NO CALL WEDNESDAY APRIL 10th. when: 5 PM EST, Wednesdays April 17th & 24th, 2019. +Ask the big questions of ourselves to reframe and redirect our lives. when: 5 PM EST, Wednesdays, May 1st, & May 8th, 2019. +Kneeling at the Altar of Inner Beauty: allowing our internal + eternal beauty to rise. when: 5 PM, Wednesday EST, May 15th, 2019.
details: a Live Call, Recorded for Posterity. A refreshing, relaxing call walking down the path of self care for Mind Body and Spirit beauty and renewal to care for the vessel which has walked us this far and to support a long and beautiful life. 30 of my favorite self care recipes featuring tonics, teas, hair masks, body scrubs, facials, and more, all made from holistic ingredients in your cupboard or local health food store. These are timeless, natural eternal and internal beauty recipes that have been passed on from our ancestors. One Time Payment for the Full Journey PLUS Three 45 Minute Personal Sessions and Runework. THE JOURNEY INCLUDES A GROUP PORTAL WHERE ALL RITUALS AND COURSE NOTES WILL BE POSTED. was crafted for the woman ready to feel real. For the woman who is tired of feeling like a little girl. the old one, and the one she has been dreaming of. 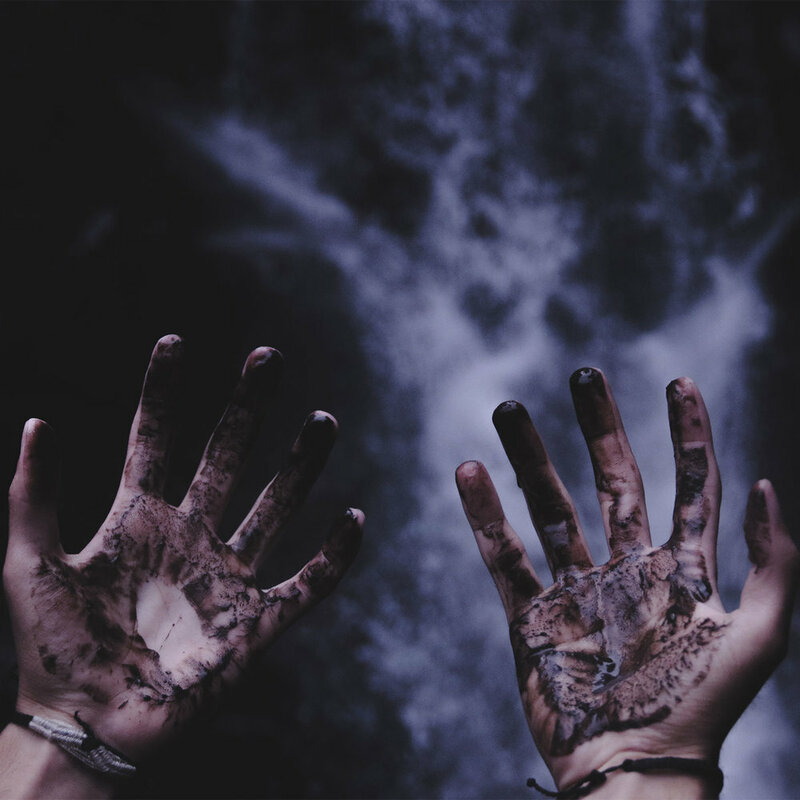 you feel stuck in the Underworld, and ready to rise. If you feel stuck in your bud, but you're longing to bloom. If there are repeated patterns of behavior that are keeping you small. If you're ready to cultivate your Inner Mother & learn how to Self Mother. If you're ready to descend to the Goddess and dissent from white supremacist toxic masculine patriarchy. If you're ready to recognize your True & Inner Beauty. If you're ready to work with the spiritual gifts of aging. If you're ready to answer the call of the Great Mother as her warrior. * Quotes from my forthcoming book, The Passage Into Mother. MENTAL HEALTH DISCLAIMER: I am not a psychiatrist. I’m a writer and teacher who has spent years studying the archetypal passage into Mother through my personal journey and the journeys of others. I am a personal proponent of therapy, but I understand it is a societal and financial privilege. This offering is an experience, part story telling and part ritual, and is not to be in place of therapy or mental health caregiving.